Saving Babies Starts with you. We have developed a simple, low-cost ventilator device to help newborn babies in developing countries breathe. With your help, it can save thousands of babies each year. We plan to distribute the machine in developing countries throughout the world, starting in Cambodia and Uganda. Our business model combines government funding, your donations, and hospitals' purchase of consumables to get these devices where they need to be. Over half the world's neonatal deaths happen in Africa. In the East African Community, we estimate preventing 33,627 newborn deaths a year, starting in Uganda. Our breathing machine combines CPAP and ventilation to provide complete breathing support for newborn babies. Its simplicity, durability, built-in battery, and low cost make it perfect for use in developing countries. 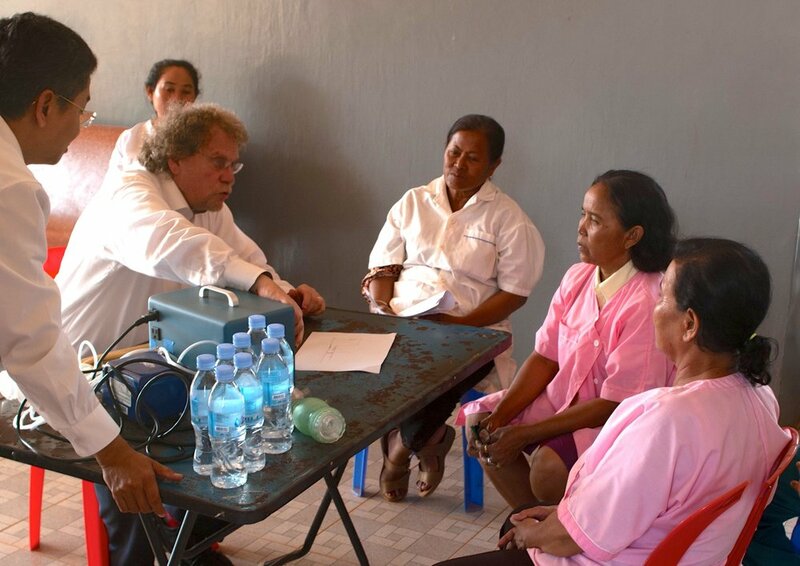 We estimate our device can prevent the deaths of 3,500-5,000 newborns each year in Cambodia. With the support of the Cambodian government and the country's major children's hospital behind us, we've started a trial in the country and plan to expand next year. We need your help to get these ventilators where they can save lives.